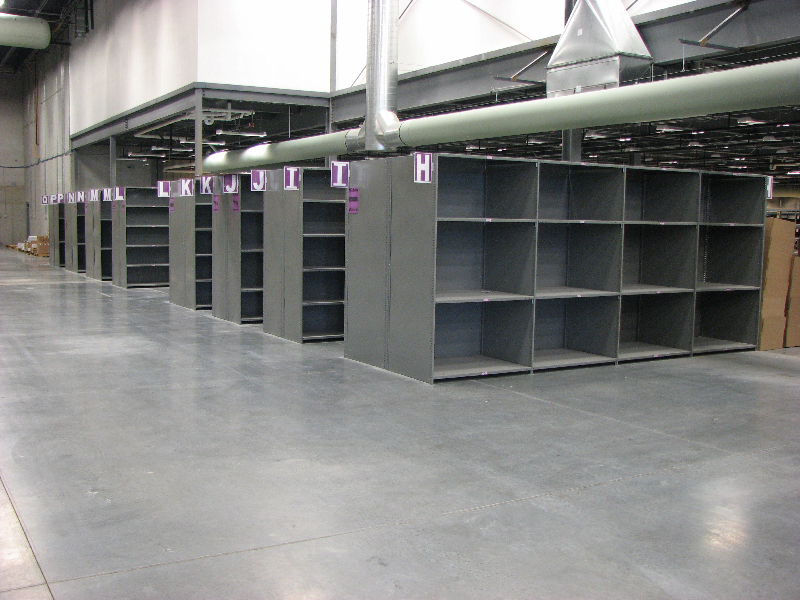 Shelving systems provide storage solutions for everything from office storage to integrated warehouse applications. 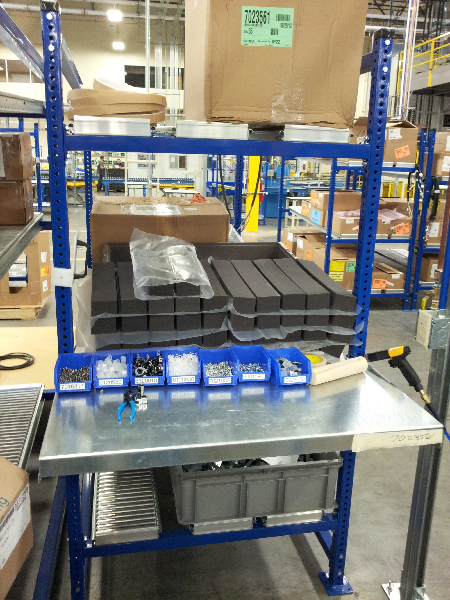 From single units to multi-level pick modules in large scale distribution centers. 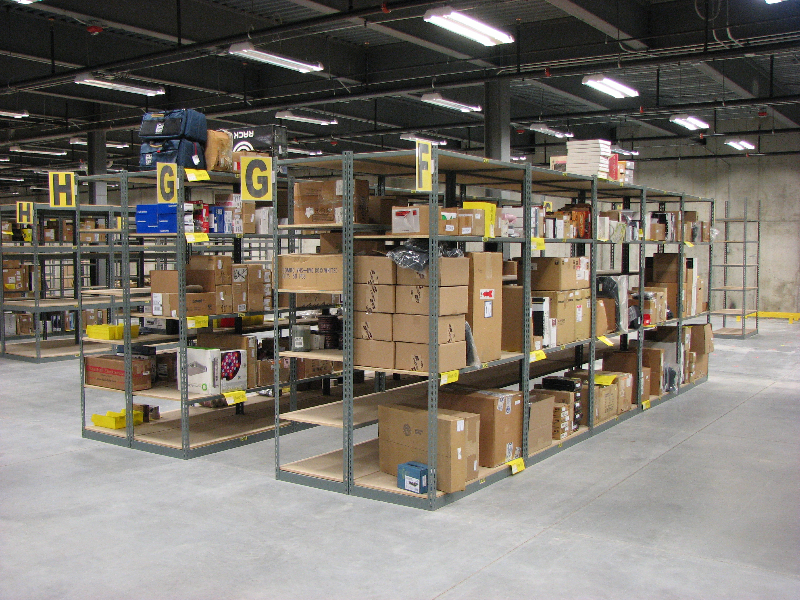 Shelving mezzanines can utilize a buildings height and provide small item storage on the lower level and upper level or they can deliver bulk storage space above for pallets, or bulky items. 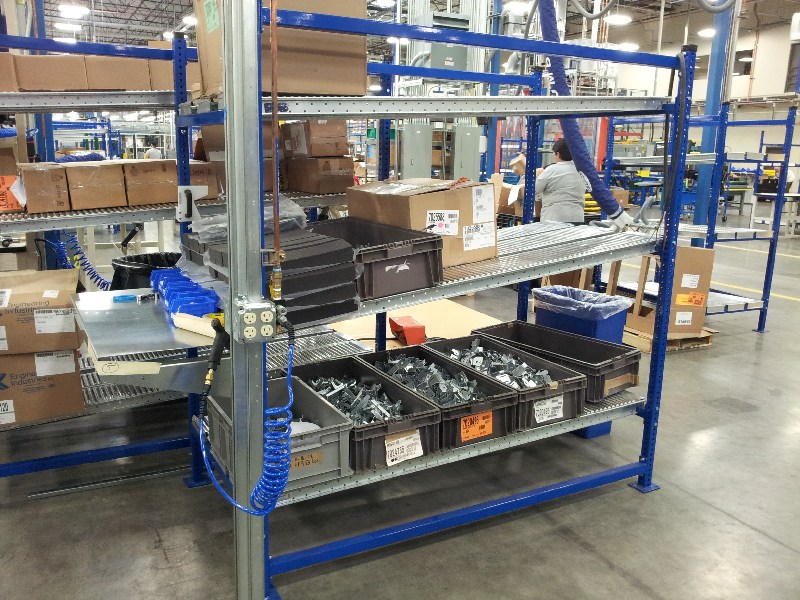 Bulk shelving is designed for areas where products are hand loaded instead of on a pallet. 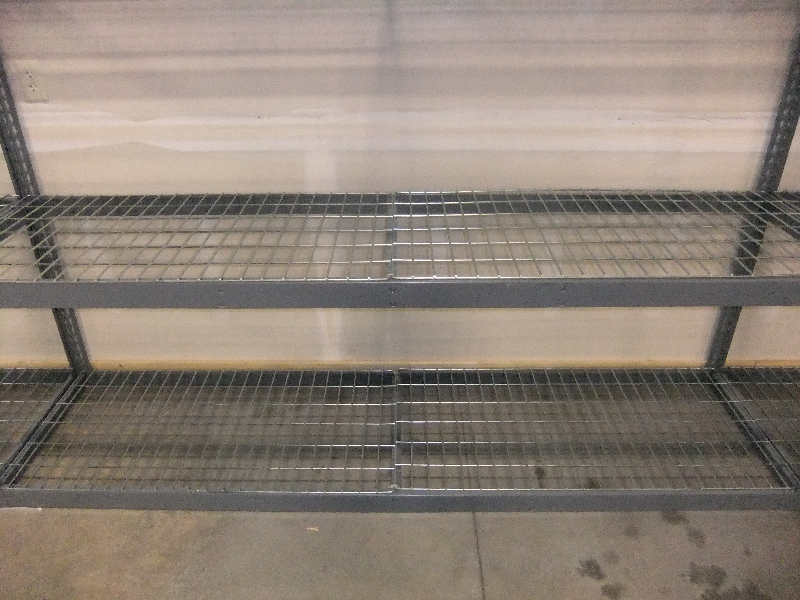 The shelf material can be particleboard shelving, wire decks or solid steel panels. Boltless construction makes assembly and reconfiguration easy. 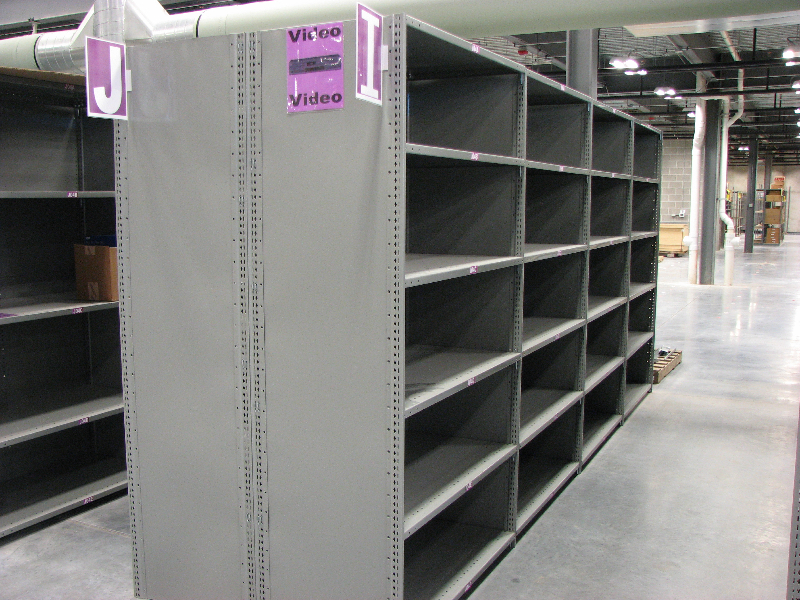 Bulk shelving can support loads up to 1,000# per shelf level and can be assembled in heights up to 22’ tall. Full-width roller carton flow track can be added to new or existing pallet rack – no shelves or intermediate supports are required. 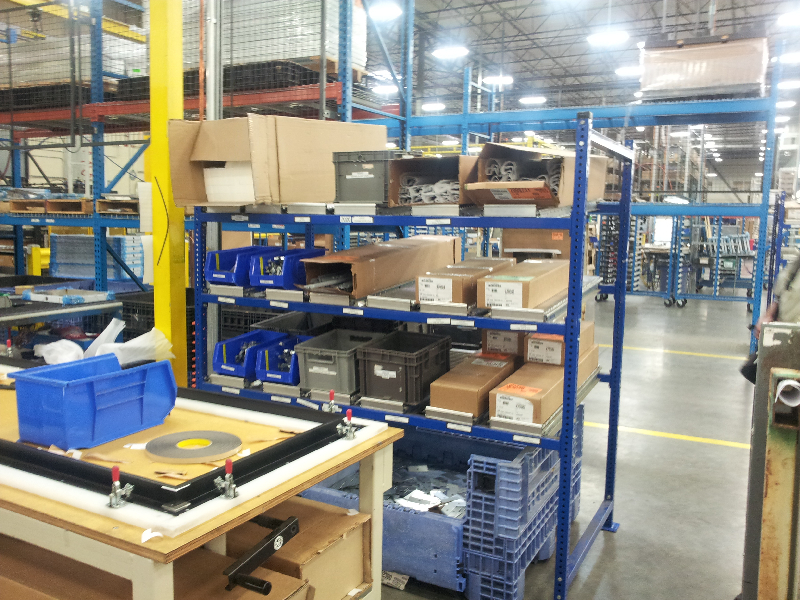 Tracks can easily be picked up and moved or rearranged to suit your needs. Full-width flow tracks are extremely robust and durable allowing loading capacities of up to 50lbs/sq.ft. while also providing outstanding abuse resistance. The full-width ¾” diameter rollers are made from tempered aluminum and spin on full length 3/16” diameter steel axles. The roller/axle assemblies are fixed to galvanized steel support channels helping provide an efficient yet cost-effective carton flow product. The full-width rollers provide evenly distributed contact with the carton eliminating hang-ups and as a result provide great product flow throughout your system. Carton flow allows the versatility of utilizing your pallet racking bays above your Span-Track picking faces to be utilized for storing pallet loads of material for replenishment of the SKU’s within the carton flow. 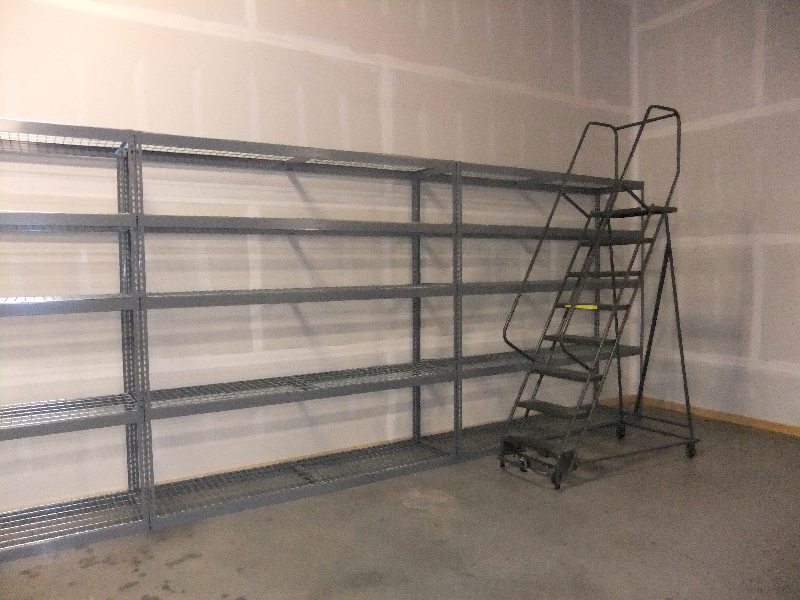 Shelving mezzanines can utilize a buildings height and provide small item storage on the lower level and upper level or they can deliver bulk storage space above for pallets, or bulky items.